Saturday was sweltering hot. Gary and I spent it working on the RETROpad. I put on some Mexican music to kick off Labor Day weekend, just for grins. 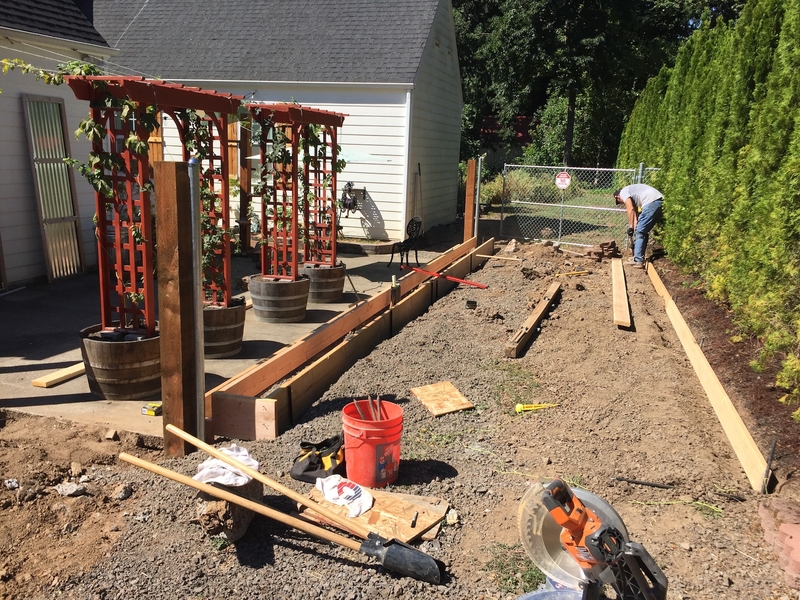 He worked on the curb excavation and building the forms, while I dug out the last three 24″ post holes through a few layers of old concrete footings. Our goal is to pour the concrete curbs next Saturday. The grading and inner pavement will happen the week after that. Everything needs time to cure before the rains hit. 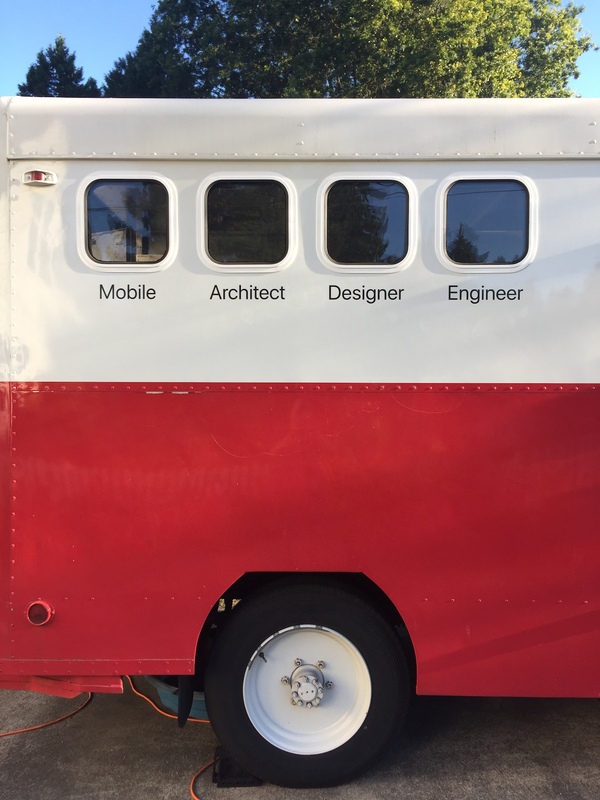 I did manage to get all eight window decals applied, before getting filthy dirty. They look pretty good, but I’m a little worried about durability. 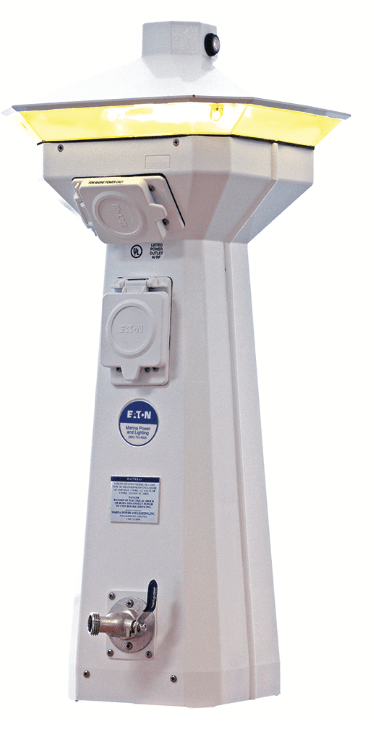 We were both spent by 2 PM, and then a nice surprise: My EATON Marine Power Pedestal arrived via UPS — a few days early. And it looks amazing. Now that is something to build a RETROpad around! Dave from Frahler Electric is scheduled to install the 30/20A circuit next Monday. Good news! My dad is driving out from Utah to stay a while. He’ll be here in time for the NFL season’s kickoff. I had found a cabinet shop to finish my woodwork, but I decided to delay that a bit so we can enjoy the RETROvan while my dad’s here. The shop says they can put a professional lacquer finish on everything for under $900. 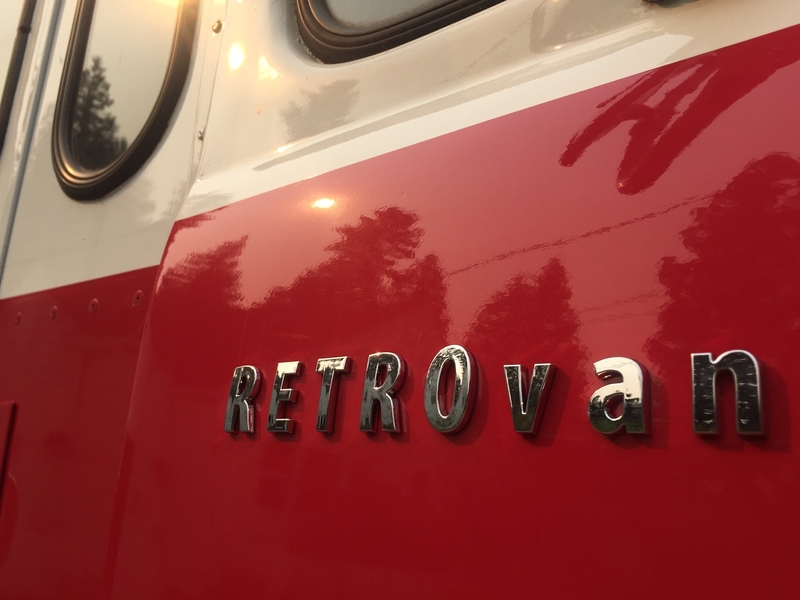 And lastly, my custom RETROvan emblems arrived on Tuesday and they were easy to install.